winter should have meaning for you. Just like the plant in this poem, I long to reawaken, for my heart to be able to respond to God again, to sense some whisper of light breaking through. Thank you so much! I do not think I am despondent – I hope not. I am just in a spiritual dry place right now. I appreciate your encouragement! 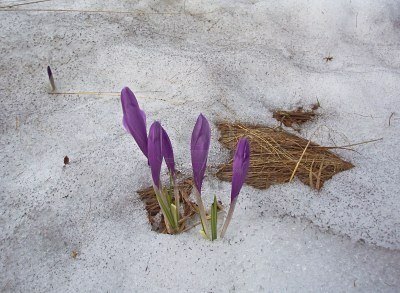 I´ll send you a piece of my spring for you very soon!